Time to get your 2018 PHRF certificate! What is the Pedlow Ideal? Date: Saturday, July 14 2018 at 9:00 am. HRYRA: The Annual Awards Brunch will be held on Sunday, December 3, 2017 at the Hudson Water Club (at the Haverstraw Marina). Save the Date! HRYRA regatta schedules and sailing instructions are available on the HRYRA web site, click on the appropriate navigation tab (or use the links shown below). Don’t forget to renew or acquire your PHRF certificate. All Sailboat racers require new PHRF certificates for the 2017 season: Every cruising sailboat intending to race this year on the Hudson River needs to have a current PHRF certificate. Now is the time to get or renew yours. Simply go to the HRYRA site and follow directions. Date: Friday July 14 2017 at 9:00 am. The 2016 spring racing season included two SYC Pedlows and the first half of the HRYRA competition. The July 3rd Pedlow was canceled due to lack of wind, so the scores remain the same from Memorial Day. Nyack Wednesday night races have been wonderful. The night usually includes almost 20 boats, with five in spinnaker Division A and 15 in Division B cruising. July 16 is the Joe Naar one design race here at SYC and the HRYRA Hudson River Women’s Challenge Cup is on August 7th in Haverstraw. The second half of HRYRA racing begins in September, and of course that brings the Shattemuc Regatta. 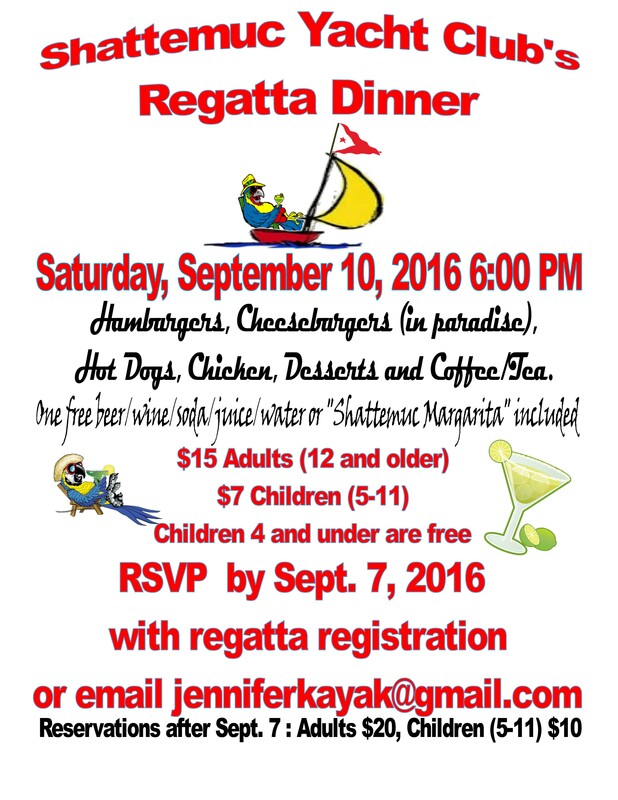 If you want to try at least one HRYRA race this year, then choose the Shattemuc Regatta September 10-11. 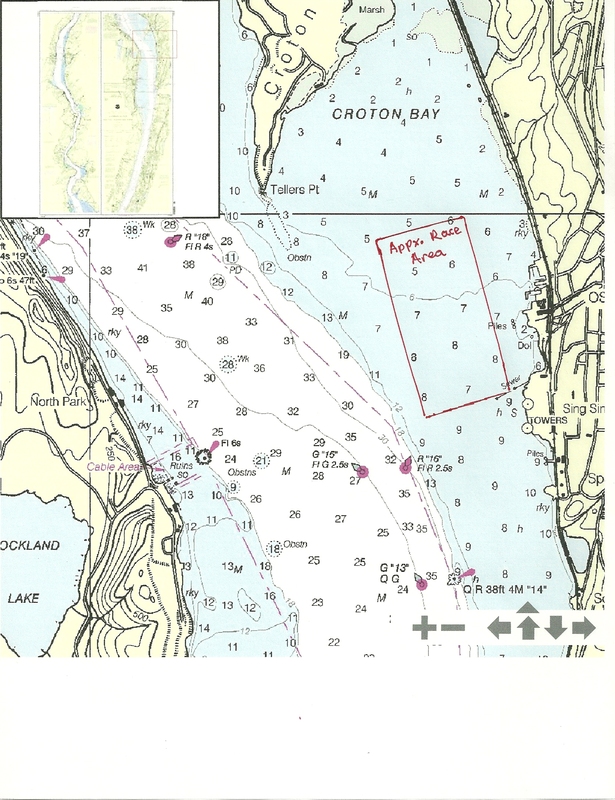 It is also time to renew or acquire your PHRF certificate. 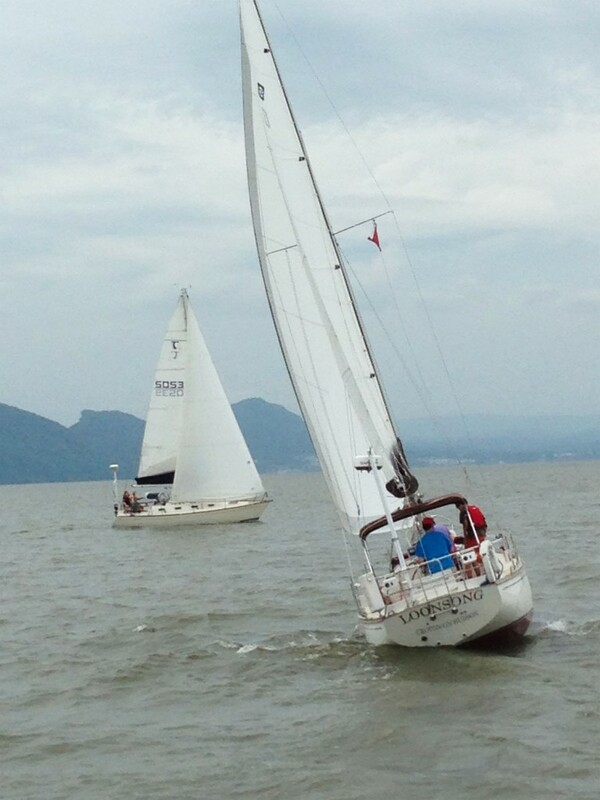 All Sailboat racers require new PHRF certificates for 2016 season: Every cruising sailboat intending to race in 2016 on the Hudson River needs to have a current PHRF certificate. Now is the time to get or renew yours. Simply go to the HRYRA site and follow directions. The 131st Shattemuc Open Regatta took place on September 11-12. This was the major cruising sailboat race event of the season at our club. We hosted 18 boats from the clubs in HRYRA. 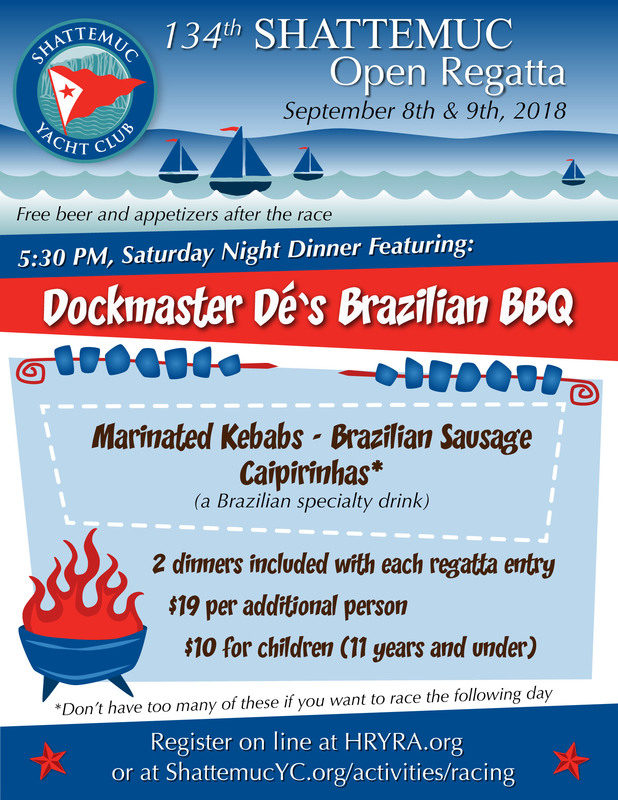 This exciting weekend also included the Margaritta BBQ dinner on Saturday evening, well attended by both racers and Shattemuc members, and the awards ceremony on Sunday afternoon.Saturday morning did not look at all promising for sail boats — almost dead calm at 1100 that forced the committee to postpone racing in the hope that breezes would develop. Sure enough, after a bit of light rain around noon time, a nice southerly filled in just allowing all divisions to get in two short races. The breeze held for Sunday, even strengthening a bit and providing good racing. It was good to see a slight increase in the number of competitors from Shattemuc this year, including Jurassis Dragon, Zoom,Pentimento, Freya, Mayhem and Surprise II.You’ll find a link to the regatta results here and many photos here. Also read the article in the September Masthead. Pentimento wins 2015 Pedlow Cup! The last races of the 2015 Pedlow Cup were held on September 6th. A light Southerly breeze filled in just in time to start the first of two races. Jurassis Dragon had a superb day winning both races but Pentimento prevailed in the overall series score. See results ­here (insert hyperlink). A new racer, Surprise II, with Sam Ofsevit and crew joined the racing! 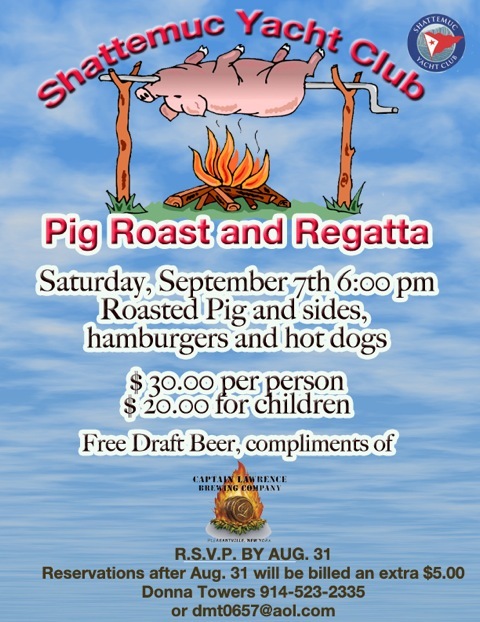 The last Pedlow Cup race of the 2015 season is coming up on September 6. 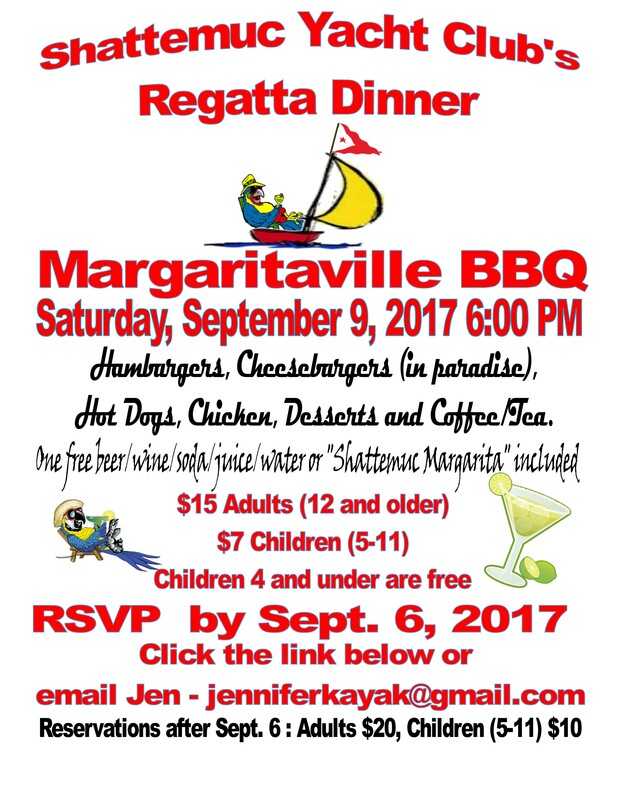 Don’t miss this great opportunity for a fun race experience. Click here for information. The 131st Shattemuc Regatta opens the Fall series of HRYRA races on the weekend of September 12-13. For more information and on line registration, click here. Pentimento wins two Pedlow Cup races on July 4th. A NE breeze filled in just in time to start the first race at 11:00. The breeze held and allowed a second slightly longer race. Along with the wind came rain showers so everyone who remembered to bring them along got to try out their foulies. Thanks to Race Committee Mick McGuire and Ben Goldsmith. Results and all other information can be found in the usual place on our racing page. All participants were rewarded with a commemorative 37th Annual Pedlow Cup pin. It is a perfect accessory for your Shattemuc Wine Tote! Zoom wins the first PEDLOW CUP race on Sunday, May 24. Light air and low water forced postponement until after 2 o’clock. See results, NOR and all other information here. Monday, May 25th, NBC Laser Fleet hosts the Lagoon Regatta. See schedule at http://www.hryra.org/nors-sis/. Contact Jon Marsh at pjon@optonline.net for details. Current PHRF Certificates are required to race in HRYRA regattas: Now’s the time to get or renew yours. Please visit the HRYRA web site to do this on line. Schedules and results of regattas and series are also available there. See this article from 2012 for an explanation of the Pedlow Cup. Event web site: all information, registration forms, etc. What is the Pedlow Cup and Ideal? Notice and Schedule – The 2011 Naar Cup was canceled due to weather. 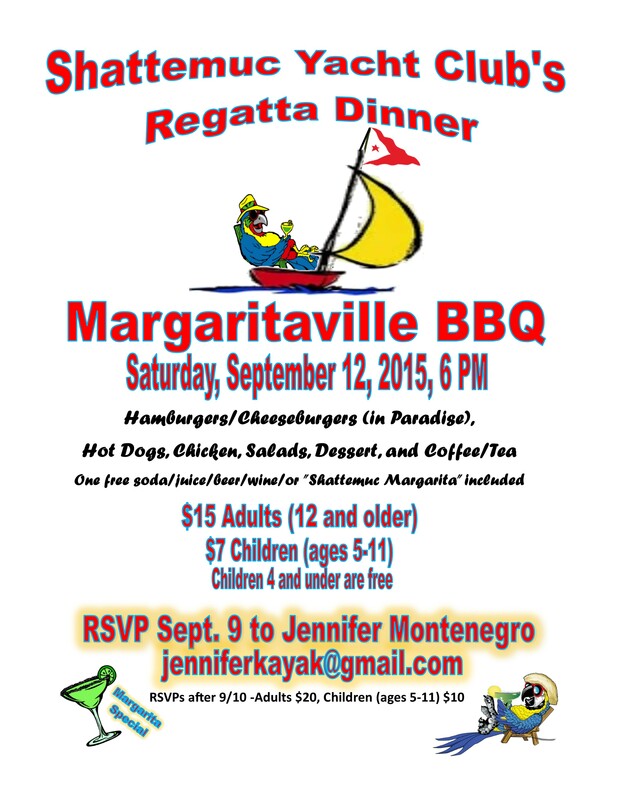 Click here for information about the 2013 Joe Naar Memorial dinghy regatta.